Perfect for any occasion, the 2019 American Eagle One Ounce Silver Proof Coin is a favorite for any collector. The obverse (heads) features Adolph A. Weinman’s full-length figure of Liberty in full stride, enveloped in folds of the flag, with her right hand extended and branches of laurel and oak in her left. 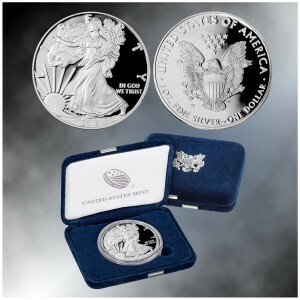 The reverse (tails) features a heraldic eagle with shield, an olive branch in the right talon and arrows in the left. 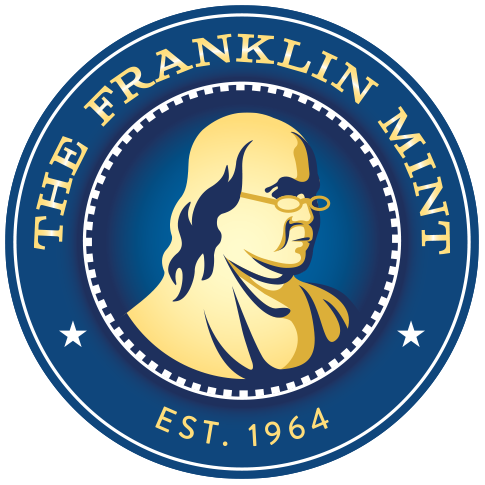 Each coin bears the “W” mint mark reflecting its striking at the West Point Mint and is packaged in a blue velvet, satin-lined presentation case accompanied by a Certificate of Authenticity. Dimensions: 9" x 4.5" x 1.5"